Dan has visited schools around the country and around the world. During his career he has interviewed many famous people in the world of football including David Beckham, Wayne Rooney, Steven Gerrard and Rio Ferdinand. His books have inspired children, who are sometimes reluctant readers, to pick up a book and finally enjoy reading. Would you like Dan to visit your school ? A visit can be planned to suit your needs and can include a Big Talk from Dan, creative writing workshops, book signings and question and answer sessions. 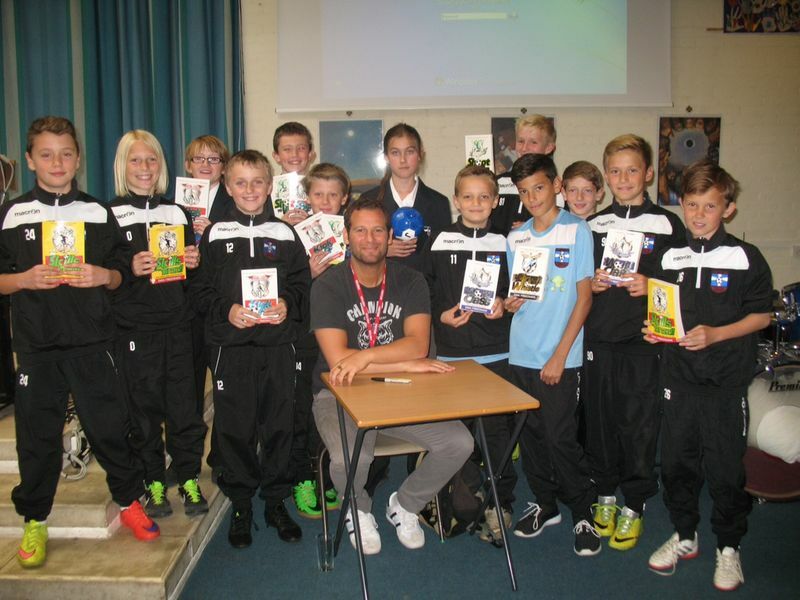 Watch this video of Dan deliver a talk to St Gregory’s School in Tunbridge Wells. Dan also does virtual visits for far away schools or even schools in other countries. Have a look at a virtual visit with Dan. This is just short clip of the visit but as you see, it as if he’s in the room with the children! Many thanks to Highlands Primary School for sharing this. The children are still buzzing about Dan’s visit, and all of his books are now out of the library and there’s a waiting list! Dan was an inspiration to our boys – encouraging them to produce creative writing beyond their usual standards. His books have also inspired some of the students to reading both wider and more frequently. For mixed ability kids he was so appropriate. Very patient with their questions. He was brilliant. I would love to hear him again. Seeing Tom and Sami with their noses glued to a book in quiet reading is a sight I never thought I would see. He really did inspire the children. 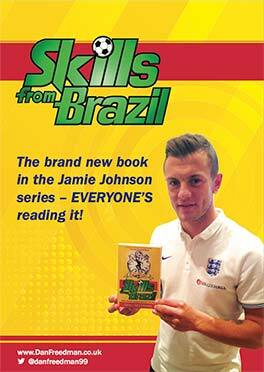 The fact that he is so knowledgeable about football makes his books exciting and proves to the boys that they can be connected to football through words as well as actions. It has been a pleasure to see the children walking around the school carrying the books. This, I am sure, is due to them being able to associate a real-life author with an actual novel. The teachers were extremely impressed with your visit and how you motivated the children to write – apparently they have never worked so hard on a piece of writing. So thank you because you really made an impact on our children. The talk was very motivational for our students. It will be a day they will remember for ever. It was a pleasure to see that despite the bell signalling the end of the day, the students were still eager to stay and ask you more questions. He has inspired me to follow my dreams of becoming a professional footballer I just have to keep going thank you Jamie and thank you Dan freedman. Thank you Natasha for you lovely comment! Go for your goals!